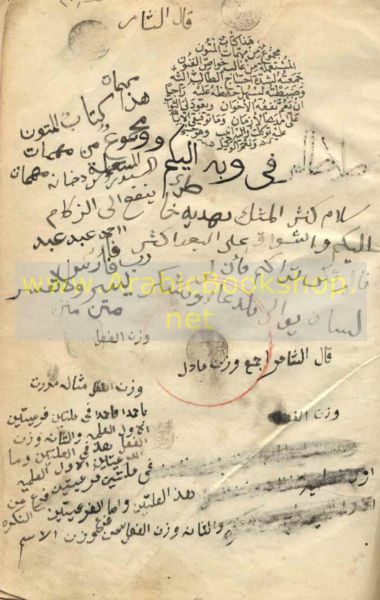 Published/Created:	al-Qāhirah : Maṭba‘at al-Ḥajar, 1858. Arabic literature -- Abu Zaby (United Arab Emirates) -- Societies, etc. Arabic literature -- History and criticism -- Theory, etc. Arabic literature -- Quotations, maxims, etc. Arabic literature -- Saudi Arabia -- Asir -- Societies, etc. Arabic literature -- Saudi Arabia -- Societies, etc.